The human immune system is a very complex system build up of numerous functional parts. To understand how the immune system works it is essential to know the functional parts and their rolle in the system therefore we will list you the functional parts and what rolle they play in the immune system. What triggers them to react and to fulfill their rolle in defending our body from various malicious intruders that can harm us. Antibodies (also referred to as immunoglobulins and gammaglobulins) are are Y-shaped proteins that respond to specific bacteria, viruses or toxins, called antigens. They are produced by white blood cells. Antibodies can bind to toxins, disabling their chemical actions or signal that an invader needs to be removed. These antibodies are divided into five classes. Their names are generally abbreviated. For instance, Immunoglobulin A is abbreviated IgA. Here are all of the abbreviations: IgA, IgD, IgE, IgG, i IgM. Bone marrow produces new red and white blood cells. 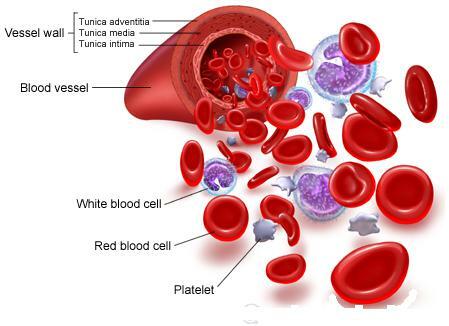 Red blood cells are fully formed in the marrow and then enter the bloodstream. Most white blood cells mature elsewhere, however, in factories located inside the long bones of our bodies. 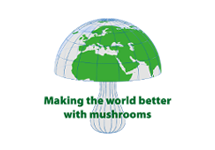 The marrow produces all blood cells from stem cells. 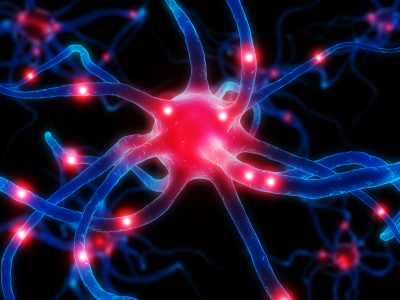 They are called “stem cells” because they are precursors to different cell types. They can branch off and change into specific types of white blood cells, as needed. If germs get through the body’s physical and chemical barriers into the bloodstream, a mixture of liquid proteins called complement is activated and attacks them. The complement system includes a series of proteins. 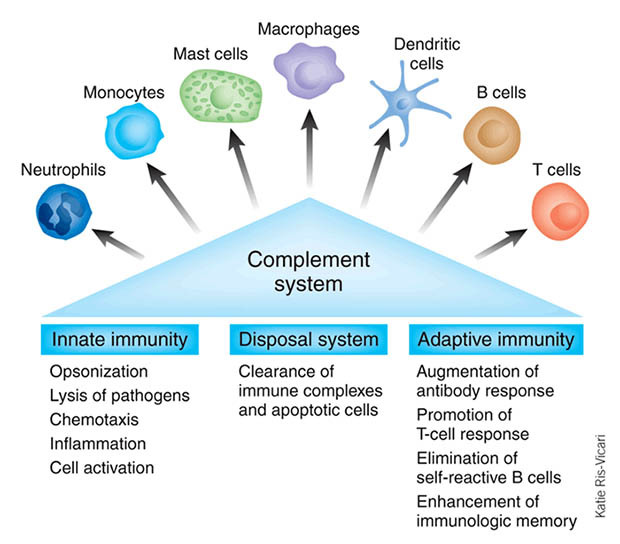 While there are millions of different antibodies in your blood stream, each sensitive to a specific antigen, there are only a handful of proteins in the complement system. They float freely in your blood. Complements are manufactured in the liver. The complement proteins are activated by and work with (complement) the antibodies. They cause lysing (bursting) of cells and signal to phagocytes that a cell needs to be removed. 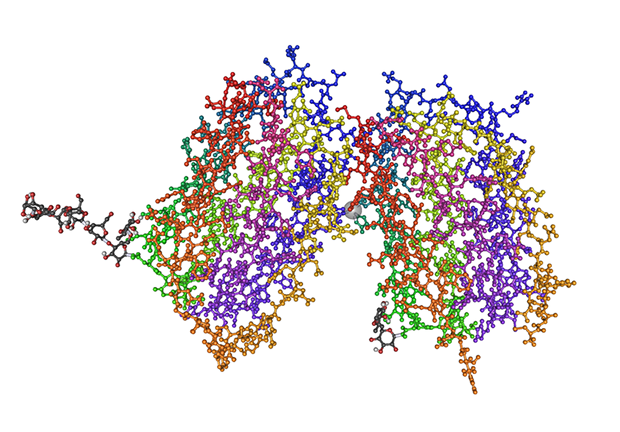 Interferon is another type of protein produced by most cells in the body. The job of interferon is to let cells signal one another. When a cell detects interferon from other cells, it produces proteins that help prevent viral replication in the cell and also stimulates killer cells. There are several hormones generated by the immune system. These hormones are generally known as lymphokines. Some hormones in the body suppress the immune system. These are the steroids and corticosteroids (components of adrenaline). Lymph nodes are basically filters that trap germs and other foreign bodies. The nodes have armies of lymphocytes to deal with the germs. Lymphocytes are a type of white blood cell, which neutralizes or destroys germs. The lymph nodes can become swollen when fighting an infection. Lymphoid organs include the bone marrow and the thymus, as well as lymph nodes, spleen, tonsils and adenoids, the appendix, and clumps of lymphoid tissue in the small intestine known as Peyer’s patches. There are about 2 to 4 pints of lymph fluid in the average body. The spleen filters the blood looking for foreign cells. The spleen is also looking for old red blood cells that need replacement. It is an organ about the size of a fist in the upper left of the abdomen. 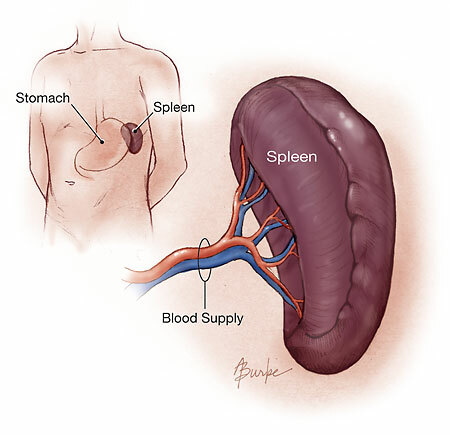 The spleen contains two main types of tissue: red tissue that disposes of worn-out blood cells, and white tissue that contains lymphoid tissue. Different part of the the spleen specialize in different kinds of immune cells. When microorganisms get carried by the blood into the red tissue, they become trapped by the immune cells known as macrophages. 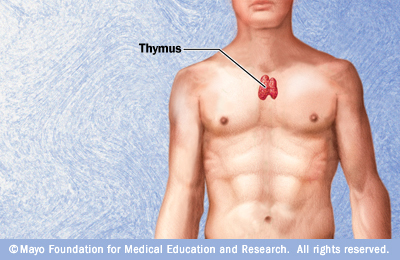 The thymus is located in your chest, between your breast bone and your heart. It is responsible for producing T-cells and is important for T cell maturation. All white blood cells are known as Leukocytes. They act like independent, living single-cell organisms that can move like amoeba and capture things on their own by engulfing them. Most of them are created in the bone marrow and start out as stem cells. And that’s the immune system response in a nutshell. which comprise 50 to 60 percent of all leukocytes. They are further divided into three types of Granulocytes: Neutrophils, Eosinophils and Basophils. Granulocytes get their name because they contain granules. These granules contain different chemicals depending on the type of cell. which comprise approximately 7 percent of all leukocytes. Monocytes eventually become macrophages. which comprise 30 to 40 percent of all leukocytes. Lymphocytes are the white cells that are the key operatives of the immune system. There are two kinds – B lymphocytes (B cells) and T lymphocytes (T cells). Those that mature in bone marrow are called B cells and those that mature in the thymus are called T cells. Most of the organs of the immune system are concerned with the growth, development, and deployment of lymphocytes. These organs are called lymphoid organs. Lymphocytes travel through the blood searching for foreign cells. B cells use antibodies to target bacteria. T cells actually do the fighting. B cells work by using tiny antibodies. There are thousands of different B cells in the blood at any time, each armed with antibodies against a particular germ. But there are only a few of each until there is contact with any particular germ. Then, B cells multiply dramatically very quickly and release large amounts of the right antibodies. The process works like this: when a germ bumps into a B cell, the B cell multiplies, forming versions of itself called “plasma” cells. Plasma cells make antibodies to attack the germ. The antibodies lock on to the target germ to make it easy for phagocytes to eat. Some of the B cells continue multiplying after the germ has been destroyed, so that if the germ returns, there are antibodies ready for it. T cells work a little differently. Because many germs, such as viruses or parasites, hide inside cells, it is the job of the T cells to identify and destroy these cells. There are two kind of T cells: “killer” cells and “helper” cells. Helper cells are the ones that identify the invaded cells and send out the alarm. Killers are the ones that move in and destroy them. This happens because an invaded cell gives itself away with abnormal proteins on its surface. When helper cells encounter abnormal proteins, the send out chemicals called lymphokines that tell killer cells to multiply. The killer cells lock on to the abnormal cell and destroy it. And, like B cells, some killer cells stay around, ready to attack any more abnormal cells they meet.